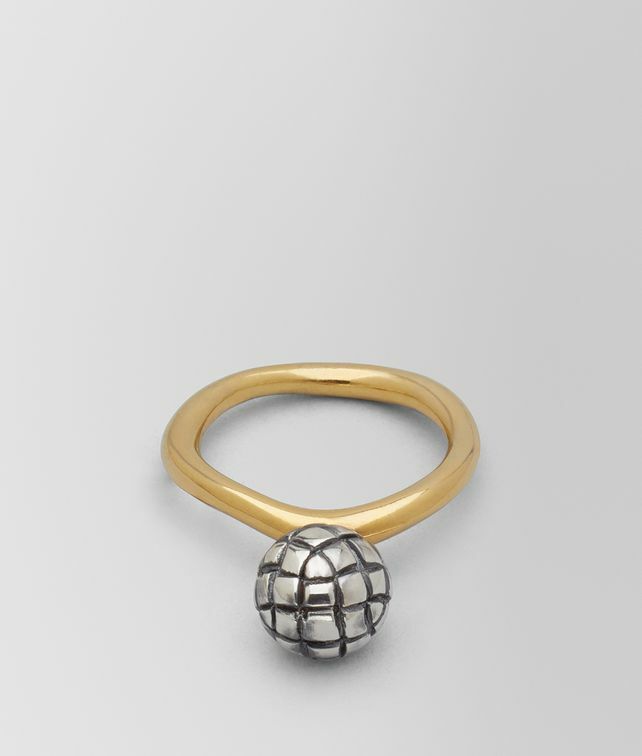 This delicately crafted ring is realized in lasting sterling silver. Hand-painted in 24-karat gold, its organic circular band graduates to a small sphere engraved in iconic intrecciato. Wear is as a solo piece or stack it with similar styles.